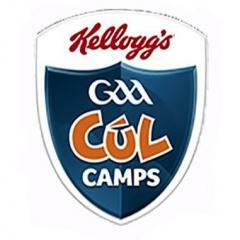 Our St Brigids GAA 2019 @officialgaa / @KelloggsUK Cúl Camp (12th-16th August from 10.00am to 2.30pm each day) is now OPEN for online booking via the link below! Places are limited so please book early to avoid disappointment! Each child receives FREE Kellogg's GAA gear and a backpack! €60 for 1st. child; €55 for 2nd child; €45 for 3rd and subsequent children.